KSRealityBites: Green Tea twice a day, reduces risk of Ovarian Cancer! Green Tea twice a day, reduces risk of Ovarian Cancer! According to a study conducted by the researchers at the University of Washington, the risks of ovarian cancer in women can be reduced by drinking two cups of black or green tea daily. Green tea, a rich source of anti-oxidants, has been benefiting people for over 5,000 years now. 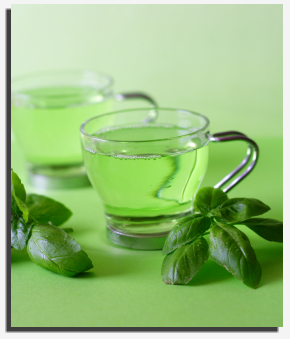 Green tea retains its green color as it is processed immediately & the leave undergo very little oxidation. Catechins, the anti-oxidants in green tea, 've a healing effect on the cancer patients as well. Oxidants & the unstable molecules produced by the body take electrons from other cells to maintain stability. This harms the cell proteins & makes the human body more prone to cancer. The presence of catechins slows down the growth of cancer cells & enzyme development that lead to cancer. The researchers at the University of Washington studied 2,000 women & noticed a reduction of 54% in the risk factors in women who drank one or more cups of green tea daily. Another study by the National Institute of Environmental Medicine in Stockholm discovered that women who drink at least two cups of black tea reduce the risks of ovarian cancer by nearly 50%.The properties of both green & black tea also protect heart, boost the brain & lower the bad cholesterol or LDL levels.